Welcome to TT Liquor, a multi-faceted establishment for all things related to cocktails, spirits, and high-quality alcoholic beverages. We offer an extensive range of experiences – from cocktail making classes and tasting experiences to mobile bar hires. 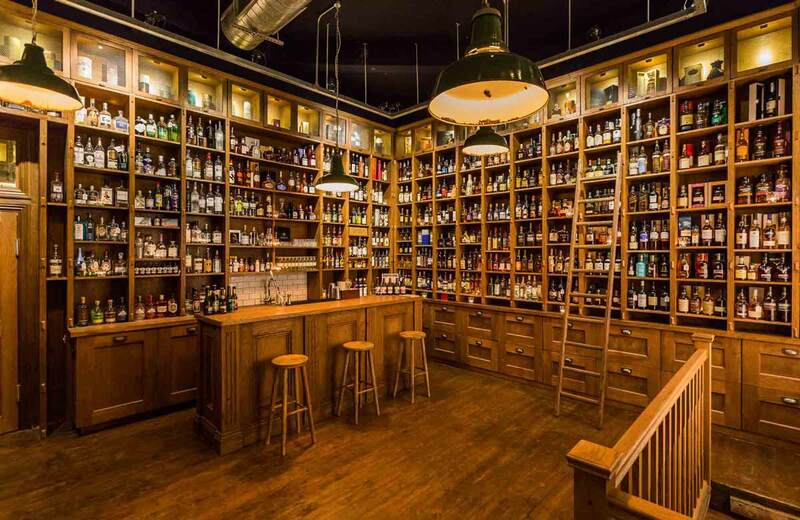 Our Shoreditch home also boasts an intimate cellar cocktail bar and a specialist liquor store selling our handpicked selection of fine liquors, beverages and specialist equipment. Each month we also collaborate with up-and-coming chefs to take over our kitchen and provide guests with immersive dining experiences and carefully designed cocktail pairings. All our experiences can be hosted at TT Liquor on Kingsland Road or at an external venue of your choice. We can cater for groups of almost any size and events of any type. 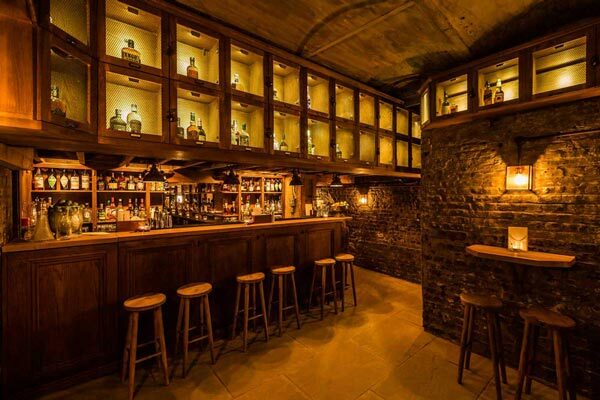 We’ve transformed the cellar of our liquor store into an intimate subterranean cocktail bar. 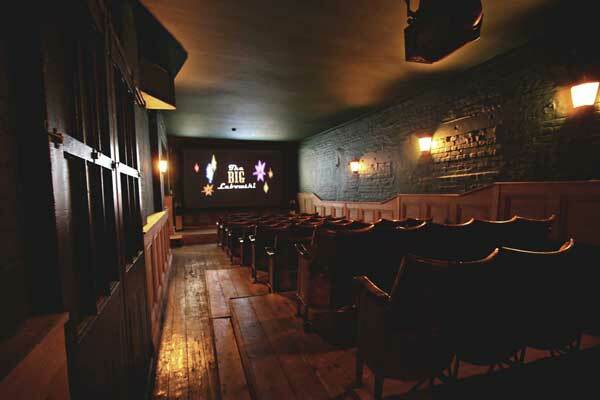 Every month we’ll be hosting weekly film nights – as well as one-off screenings – in our 52-seater cinema space. Click for all upcoming screenings. Join us on 9th April as we team up with the crew at Isle of Harris Gin to stick on one of our all-time favourite films. April’s first exclusive Tasting Session will be led by Rachel Macdonald of Isle of Harris Gin. We’re honouring one of our all-time favourite directors on the eve of his 50th birthday with a screening of perhaps his most artful work yet. Our fruitful collaboration with supper club specialists, Kino Vino, is carrying on into April in style with a exclusive guest chef experience celebrating Sicilian film and cuisine. Something a little different. Take the scientific techniques of molecular gastronomy and apply them to the making of innovative cocktails. Each month we will collaborate with culinary up-and comers and more established chefs alike to provide guests with immersive dining experiences. The knowledgeable staff at our liquor store will be able to guide you through our hand-picked selection of spirits, beers and wines. 16th & 23rd April – Guardians Double Screening: Following on from its success in the international film festival circuit, we’re pleased to be hosting two exclusive screenings of award-winning comedy-thriller, Guardians, at our Shoreditch home before it’s released online later this year. 30th April – The Grand Budapest Hotel: We’re honouring Wes Anderson, one of our all-time favourite directors on the eve of his 50th birthday with a screening of perhaps his most artful work yet – The Grand Budapest Hotel. 7th May – City of God: The first screening of May looks set to be a corker, as we put on Fernando Meirelles’ sweeping, Oscar-nominated tale of crime, poverty, and love in the favelas of Rio de Janeiro. 14th May – A Good Year: We’re marking London Wine Week 2019 here at TT Liquor with a screening of Ridley Scott’s 2006 romantic comedy. March was another action-packed month of public cocktail making classes in Shoreditch, as we welcomed hundreds of budding cocktail gurus through our liquor store doors. We’re grateful to all of you who come to see us – whether that’s for a cocktail masterclass or another of our range of alcohol-related events and experiences. So read on and check out some of our favourite reviews and testimonials from the last 30 days..
“An awesome crew, easy going and craft great drinks! The cocktail masterclass was a lot of fun, my wife and I learned some serious cocktail party skills! 🙂 Thanks guys!” – Johnathan Grayson, Google. 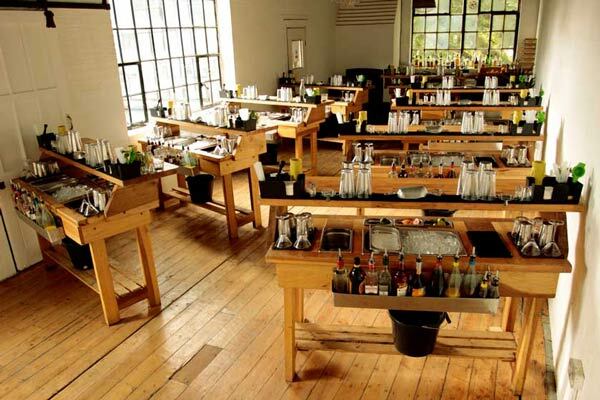 “Did the cocktail making class, was brilliant. Cocktails were absolutely delightful. We will definitely make the cocktails at home.” – Jenny, Local Guide, Google. 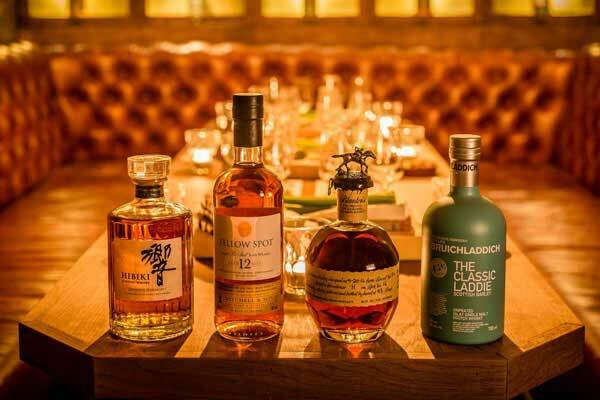 What better way to learn about some of your favourite liquids and brands than by head distillers, brewers, and brand owners themselves imparting their pearls of wisdom face to face in an intimate environment? To that end, we’re pleased to announce that, in 2019, we will be introducing a brand-new experience down in our Cellar Bar, tucked behind our Liquor Store on Kingsland Road – Tasting Sessions. Guests will be treated to a showcase of some of the highest-quality new spirits and beers, with a carefully curated range of the most interesting independent and London-based distillers. 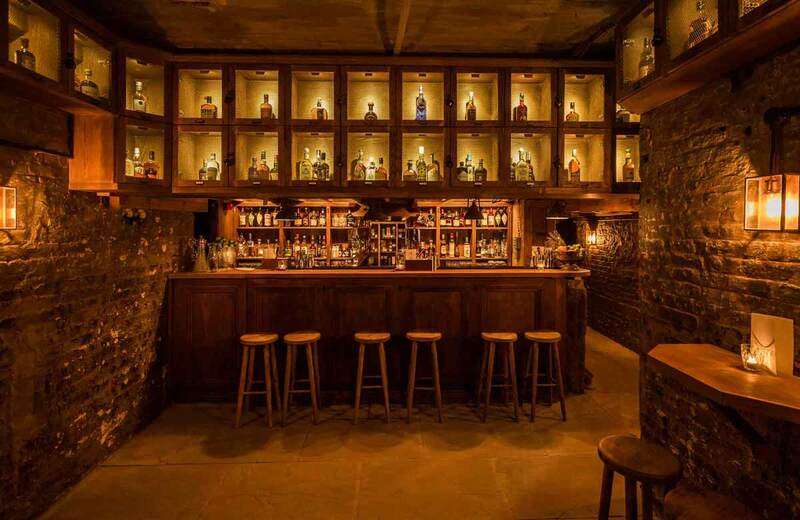 These sessions will be led by those best placed to impart their considerable wisdom – the head distillers and master blenders themselves – and will feature some of the most exciting emerging brands in the capital and beyond. Our Reserved Range has been designed to give people the opportunity to purchase an ever-changing selection of rare and discontinued bottles from around the world on a monthly basis. We will be releasing these bottles using a raffle system, entry to which can be done via the form below, or face-to-face via sign up cards in the shop. Winners will be announced on the last Friday of each month. Two and a half years after setting themselves up in a small bakery in Dalston, Maia Rossi, Alessia Mastroleo, and head-chef Dave Grigo, are trying to change the face of Italian cooking with their new set up near Dalston Square, the Macaroni Liberation Front. We caught up wth Maia on a sunny December afternoon, just as the lunchtime rush was coming to an end, and talked tradition, British culture, and the art of rebellion. Hi! Thank you guys – we love what you do and it is a pleasure talking about this crazy industry with you. My name is Maia, and together with my best friend and business partner, Alessia, we started up a lovely Italian bakery – named Donna Fugassa – two years and an half ago in Dalston. Dave Mulligan, owner of Bán Poitín, popped into our bottle shop on Kingsland Road to have a chat about his brand, where it’s headed, the trials and tribulations of being an independent business owner in the drinks industry, and giving poitín a permanent home.. So Dave, what’s your current day to day with running Bán Poitín? Since March 2018, we’ve been hosting monthly film nights – as well as one-off screenings and other events – in our 52-seater cinema space, tucked away behind our specialist liquor store at our multi-faceted venue on Kingsland Road. Drawing upon our dual passions, for movies and for mixed drinks, the basic concept has been that we will choose a cult classic as an office to show every fortnight and then task our bar team to mix up a classic (or not so classic) cocktail inspired by the themes, aesthetics, and characters of the film in question. The room’s decor is in tune with the rest of the building, with oak-panelled walls, low-hanging lanterns throwing out atmospheric orange hues, and row upon row of reclaimed vintage cinema seats that we rescued from a derelict Welsh provincial theatre. These quirky touches are paired off nicely with modern, up-to-date technological fittings such as HD projection, Dolby surround sound, and a cinema-quality projector screen to ensure the general viewing experience is as professional and seamless as possible. It’s close proximity to the lounge bar is also handy – ensuring that a refreshing libation is never further than a few steps away. Click here for full listings. Our independent cinema space is the busiest it has been since opening in the spring of 2018, as has been demonstrated by the wide variety of events we’ve held over the past couple of months alone. We’ve seen a bit of everything – from film festivals exploring themes from love and the mysteries of human attraction, to premieres of documentaries about the early days of skateboarding, basketball and hip-hop culture on the streets of New York City.